Here are more stories of women with PCOS (polycystic ovarian syndrome) who have improved their situation, either by using natural health-building methods or medications. We hope these stories will give you some ideas for moving forward with managing this disorder. My name is Emily and my doctor said i have PCOS in 2003, I was so very depress I eat everything, because i though there is no use, i may have to stay on the pill for all my life and i will become so obese that no one will like me! But after reading the many experiences on this site, i made a decision to exercise often eat a lot of fruits and vegetables. I also drink a lot of green tea and i don't drink milk anymore! I have lost 5 pounds in two weeks and i feel so good! I was diagnosed with PCOS at 17 / 18 and told by a consultant to come back after I'd lost 6 stone (84lbs). Well I'm now 30 and I'm still not 10 stone (140lb) though I did try. What I did do last summer was graduate from University (College) where I'd been slowly working toward my degree whilst working full time at a job I hated. I was elated with my degree classification - I got a first class honours (roughly equivalent to top 5% of class maybe). And then I quit the job I hated, after 9 years there! I felt great, over the moon, totally happy and stress free- I got pregnant whilst working out my notice! This was after just over three years of trying. My baby son is one month old now and is of course the most beautiful, perfect baby in the history of babies! The advice on diet and supplements is great and I plan to follow it now as we're aiming to expand the family further if possible, but losing weight is not the be all and end all, if the weight isn't coming off don't let it get you down. As I sit here reading all these success stories, I am holding my 3 1/2 month old daughter in my lap. I was diagnosed with PCOS in October of 2003. My symptoms were ignored by my OB/GYN for about 3 years... when my symptoms came too severe to endure. I was bleeding severely, in so much pain, and could barely stay conscious. I landed in an ambulance b/c I lost consciousness due to massive blood loss. Luckily, my wonderful husband demanded I see a new dr, who was recommended by a co-worker. My new OB/GYN knew exactly what it was & started treatment immediately. I had 2 large cysts removed, ovarian drilling, and was put on Metformin. I lost a little weight, which as you know is hard to do w/ PCOS b/c of the thyroid problems often associated w/ PCOS. 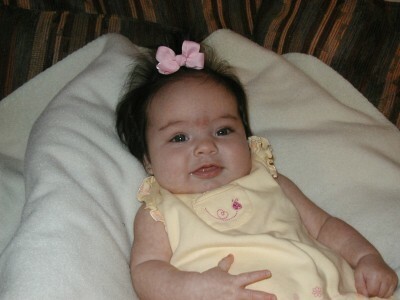 About 8 mos after my treatment started, there was little progress, and my dr told me I'd likely never conceive. Two months later, I was pregnant! I now thank God every day for my precious gift that I never thought I'd have. Hi my name is Shaquita, I don't have a success story yet. I know down in my heart that it will come. I was diagnosed with pcos around 2 years ago and also diagnosed with type 2 diabetes. When I first found out I was in tears and my husband was there for me to get me through it. Sometimes I just felt alone. When my gyn doctor diagnosed me 2 years ago my biggest fears was if I could ever get pregnant. All I have ever wanted was to be a great wife and mother. Sometimes I have caught myself having mood swings, and I think it is from the symptoms. My gyn doctor has put me on glucophage and I am currently on the birth control pill patch which I am only going to be on for 6 months. I was basically trying to get an ideal on how my menstrual cycle work. Since I have been on it I have been coming on it usually last for 4 days and goes away. I just hope and pray that eventually once I get off the birth control patch in 6 months my gyn doctor will have an ideal on the next step. I really didn't want to get on birth control but I was desperate to get my cycles going. Maybe I will end up coming on by myself. I have lost 25 pounds but still haven't been able to come on. With the birth control patch I have been coming on my cycle. So I take it all as a blessing. I am just going to keep praying for a miracle for me and my husband. So hopefully in about another year or 2 I will be able to tell you all that I will be expecting… I can't wait to be a mother and to give our child all the love it can get. I was using birth-control shots for a year and three weeks ago I was diagnosed PCOS. I'm 23 now. I'm not trying to get pregnant but I was sick of the hirsutism and the unnatural bleeding and that awful cysts. I was just about to get mad. The more I read, I found that I can get over this syndrome. Mine isn't a success story yet but it will be. I'm exercising now and changed my diet. I will start to use drugs continuing my first period and exercising really works out. Believe me !! I am 26 years old and have struggled with severe hypoglecemia from a very early age that has always affected me. I had always had regular periods (and even had a miscarriage at age 15 - yikes!). I was on the pill from age 15-20 and switched to the depovera shot after getting married. I took the depo for less than a year and then my husband and I decided to start trying for children. But 2 years went by and I still never started having regular periods except the occassional light episodes brought on by meds (clomid, glucophage, pogesterone, cenestin, metformin, etc.). I was getting frustrated with doctors (and still have not found a good one yet), so I started doing research on my own. When I came across this site 3-4 years ago, the stories SO hit home for me! I printed the info out for my doctor and insisted that he read up on PCOS. He admitted that he had never even heard of this disorder before, but to me, it made so much sense, given the struggle I have always had with hyperinsulinsm, etc. Unfortunately, my success story is a little bittersweet. The stress and depression caused by the infertility ended my marriage of 4 years in ruins a few years ago. However, on the upside of things, I have made it a mission to educate myself, my doctors, and others about the links to diets and hyperinsulinism, diabetes, infertility, and the long list of other related disorders. I am constantly amazed at how little many doctors still know about hypoglycemia, hyperinsulinism, and their links to infertility, etc., and how to treat them. Too often, I have met people with severe cases of hyperinsulinism who are simply diagnosed by their doctors and left to fend for themselves with no help from a dietitian, endocrinologist, infertility doctor, or even insurance coverage (as most insurances don't recognize these disorders and symptoms). I have referred many of my friends, family, and doctors to this site for help with not only PCOS, but also to gain a better understanding of the body as a wholistic picture. Thank you! 2 years after my divorce, I am no longer pursuing my race against the biological clock for lack of a worthy mate, but I am confident that should the opportunity ever come knocking again, I will be more prepared this time around on how to treat the infertility. In the meantime, I am on a conquest to get healthy by myself and for myself! And with the info on your site, I have been achieving that goal and feeling better and more educated every day! Editor's note: We're sorry that your marriage ended. We understand that infertility can put a tremendous strain on a marriage. That's one reason why it's so important to find a doctor who has an interest in PCOS and knows how to deal with it. Unfortunately, it's difficult to find such a doctor because there are not very many of them. However, we have found a medical research company that will provide a list of top PCOS specialists in your area, at a reasonable cost. Hello everyone and it's just amazing reading your stories because they sound just like me. My husband and I have been trying to conceive for 4 years know and succeeded last year with the help of clomid and metformin, but unfortunately I had a miscarriage 5 weeks into the pregnancy. Iam know trying again after giving myself time to heal mentally and physically. I have tried to lose weight, join Curves before and low carb diet and it's seems to all work, but the thing is it's so hard to stay on that path. 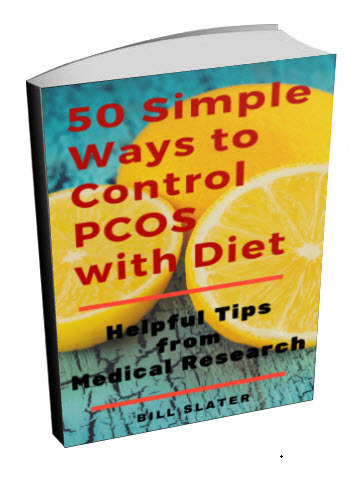 Having PCOS slows down your metabolism. Hi everyone, my name is Jessica and I'm 20 years old. I was finally diagnosed last year with "PCOS" after so many years of wondering what's going on with my body. I was a late bloomer and got my first period at age 14. After that, I would get it about once or twice a year. For years my doctor would tell me that it was normal and not to worry about it. Believing her, I ignored it. Finally by my senior year in HS, I began to feel that something isn't right. My doctor put me on birth control and it worked. After about 8 months of taking it, i stopped. My health insurance ended and i wasn't able to go to the doctor. That's when all the problems began. As soon as I stopped the B.C pills, I started gaining weight fast. This was very new to me as I never had a problem with my weight. Over the course of a few months, I gained about 40-50 pounds, I started suffering from very bad migraines, bouts of dizziness, blurred vision, depression, mood swings, etc. Something had to be done. Thanks to my mother who has definitely helped me through this, she started paying through her own pocket for me to go to the doctor. Unfortunately, My doctor didn't think it was a big deal and wanted to put me on B.C pills again. At this point, I changed doctors. I went through various tests and was diagnosed of course with "PCOS". And unfortunately again was given B.C pills. I refused to take the pills. And I definitely refused to just deal with life like this. I was 19 and felt emotionally and mentally drained. This is when I started taking things into my own hands. I did a lot of research and educated myself about "PCOS". My mom did too and she was the one who found this site. After reading all of the stories, I had so much more confidence that I was going to beat this one way or the other. About a month ago, I found a site online called "Woman to Woman". They introduced a personal program to help woman who suffer from PCOS and much more. The program provided nutritional, endocrine and dietary support. the particular program I brought offered a 90 day supply of essential vitamins and a supply of natural progesterone cream to help your body rebalance its hormones naturally. I've been taking this for exactly 18 days and am excited to say that I got my period today after about a year of not having it. Over the few weeks, I've noticed a definite change. No more mood swings, no depression, no headaches and so on. I am truly amazed with the results. My next battle is losing all the weight I gained and I'm pretty confident I'll be writing back with those results. 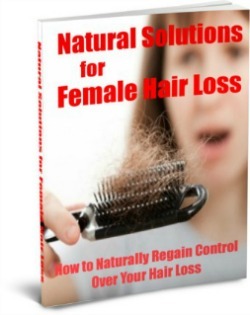 It's such a relief to know that this can be beaten naturally. I'm young and I don't want any kids just yet but it makes me soo happy to know that when the time comes, I will be able to conceive. I am 25 years old. I have been married for 1 year. We have decided to try for a baby. I haven't taken my pill for about 2 years and would say I have had 2 periods in that time (needless to say no pregnancy either). I read about Chasteberry (vitex). I am taking 1000mg a day in hope that they will help bring back my periods. 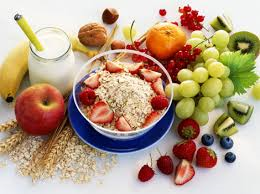 I am also starting a healthy eating diet (am very over weight which does not help matters). Since taking Vitex I have felt different around my womb area, but nothing has happened yet. I had pains on my right side the last couple of days (and am praying to god that it is ovulation). I will let you know how it works out. I have searched the web for success stories using this herb but have not come back with any yet. I am sure I have PCOS, went to the doctor about it a long time ago and he just said lose weight (I know he is right but I hate hearing it). I love reading other peoples stories as it makes me feel less alone. I so hope to have a success story of my own. The best of luck to everyone who is trying. If anyone has had success using herbs please tell your stories. TTC for the past 1yr. was put on clomid 50mg 3months, 100 mg 1month and 150mg 1month, and used to get my period on the 32 day. after the 150mg with horrible side effects-including hot flushes i decided to put an end to all this. 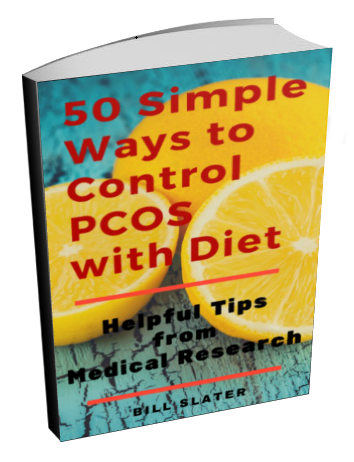 my doc says i have pcos…asked me to reduce weight. After some research i tried vitex - 450mg per day...and for the first time in ages my period is bang on target 28days...within 30days of taking vitex. i take this as a good sign. hope will get pregnant soon with these regular cycles. Editor's note: The basis for becoming pregnant and having a successful pregnancy is good health. However, you are not eating right. You are working long hours. You have the stress of an ugly divorce. We would guess that you also are not getting regular exercise. This is not a good recipe for becoming pregnant and having a successful pregnancy. Eat healthier foods. Get regular exercise. Find ways to reduce stress. Find other PCOS women and form a support group. You need to lay the foundation before you build the house. I am 32 year old South African. I had irregular periods as a teenager and always assumed that I'd have trouble conceiving. I wasn't diagnosed with PCOS, despite several visits to the Gynae, who only diagnosed an infection of the uterus. I was given Androcur (an anti-androgen) and Roaccutane Retin A I think) for excessive hair and acne. Needless to say, my husband and I were very shocked when I fell pregnant with our daughter, now 2, 10 days after coming off the Pill and Androcur! She is perfect, and a great joy to us. We're now trying for a second child and I have (finally) been diagnosed with PCOS. Three months of Clomid has not worked, so we have now been referred to a fertility specialist. I am working on improving my diet to keep my blood sugar balanced as that's always been a problem for me. I've also upped my exercise. At the time I fell pregnant with my daughter, I was 5kgs lighter than I am now and running 10kms a few times a week. So, I'm trying to recreate that! So, one perfect baby despite PCOS - hope another one will be on the way soon! Hello, my name is Sonia. I am 25 years old and have been married for 2 years. My husband and I have been trying to conceive for nearly the same amount of time but unfortunately unsuccessful. I was diagnosed with PCOS is December 2004 and have been on metformin since January 2005, I am happy to say that after suffering with irregular periods for about 3 years, they have now started to go back to normal, my last cycle was about 30 days which is good compared to 2 to 3 months. I have also lost 14 Pounds in weight and I exercise regularly. No success story yet but its a start and I wish of all you Good Luck! Hi my name is Kendra and I am 26 yrs old. My trouble started when I was 15 years old. I never had regular periods, and when they did come they would last from 2 weeks to 1 month, passing huge blood clots in the process. When I finally got up the nerves to tell my mother, she got me to the dr ASAP. He told her that I was missing some hormones, he did not say which ones and he gave me some orange hormone pills to stop the bleeding. Well it sure did the job, I did not get another period until I was about 17 and it came in with a bang; and lasted over 3 weeks. When I finally got to the GYN's, I don't think I have to even tell you what she put me on, that’s right the good old trusty birth control pills. That made it even worse, I was on and off the pill about 2yrs. When my really big trouble started, I was 20 yrs old when I was married Jan 1,2000, And my period was due on my wedding day so my dr told me to play around with my pills to avoid bleeding. Well I knew something was wrong the morning after because I woke up bleeding. To make a long story short I was diagnosed with PCOS in Feb of that year. My DH and I started trying to get pregnant about 3 months later. After a year with no success. We went to an ob/gyn, that told me I would probably never conceive on my own. And I was put on clomid, for about 6 months (got up to 100 mg) awful side effects that I could not endure. After much praying and supplication and seeking the face of God we turned to a wonderful fertility specialist that we thought would have been our answer. After a careful work up of my DH and I, she said that our only hope was IVF, due to the fact of my husband low count and they (his sperm) were surrounded by antibodies and my severe PCOS and my out of whack hormone levels. . My DH I was devastated and shocked being that I was only 22 yrs old, I knew there was another way. Well after 31/2 years of countless negative pregnancy test and tears. God led us to the natural approach. I ran across this web site and started reading the very first story concerning acupuncture and the low GI diet there was a spark of hope. I started the diet that very day, I even started my DH on natural supplements. And asked God to lead me to a well-qualified acupuncturist. Well we found one and I started treatments weekly. My dh count has gone from 20 million to 52 million, in 2 milliliters that is 12 million over average, (Praise God) the antibodies are still present but in only 1%(the doctors said that is was not a (problem), so he was put on this wonderful supplement called proxeed, to try and correct those issues. And I am glad to say I am on week 5 with my practitioner. I had my first painless 5-day cycle, since menses started 9 years ago. I am taking a high potency prenatal vitamin from rainbow light. Along with a diet that consists of hormone free poultry, whole wheat, fish, organic fruits and veggies and no white stuff such as sugar, white bread, potatoes, and no dairy. I feel better that I have in years. And prayerfully, in the coming months, I will be posting a picture of a normal ultra sound. God bless each and every one of you that has had success. I am going through it now and it is not easy. Please keep me in you prayers. P.S. my last blood test showed all hormone levels in the perfect range. My name is Tara. I am 21 and was diagnosed with PCOS when I was 19. I do not yet have a success story, but hope to post it when it happens. My doc put me on the pill when diagnosed. I am unsure whether it's the right thing or not. My boyfriend is hoping to start a family next year. So this year is my planning year. I didn't used to have a problem with weight gain, I am now experiencing it. My boyfriend is very supportive, and will even go on any diet that will help us in the long term. If you have any tips or suggestions, it would greatly be appreciated. Me and my husband have been trying for over a year and finally went to a specialist. I have not had a regular cycle since I went off the pill so I automatically saw my gyno and he put us on Clomid for 6 sessions and nothing. So now we are with a specialist and we have had very positive feedback. We are ovulating finally with the aid of Clomid and Metformin. Now that we are finally getting a cycle down. The next month should bring us even closer to our pride and joy. My hopes are big and hope all your dreams come true. Good luck and never give up. I am sure I am going to treasure every moment of my pregnancy. I have got no success story yet but I am trying to be positive. I was diagnosed with pcos about 5 years ago and have stopped having periods now for about 6 years. I tried metformin several times and can't seem to get on with it. I got married 2 years ago and we are desperate to have a baby, my gynecologist doesn't seem to understand or want to make any effort to do so. My husband has had 2 sperm tests and they are both not very good, I feel very down about it all and am battling with my weight constantly but after reading all the stories on this website I am going to try a new approach. I am off to the hospital on Monday and I am going to ask the questions I want to know and wait for some good answers. Hopefully in the not too distant future we will hear the cries of our very own baby. THANKS EVERYBODY !!!!! I was diagnosed with PCOS after stopping the pill. I did not have my period and was trying to get pregnant. My doctor put me on 500mg of Metformin 3X a day. It made me feel sick so I asked my doc if I could do 2X a day and is what I'm on. Still a year pasted and I could not conceive, even thought I did get my period but little of it. I was told to take clomid but did some research instead and decided to try the natural alternative. I found Fertility Blend which is a natural blend of herbs that promotes fertility and ovarian health. I went on that and 4 month later I took a pregnancy test and I was pregnant. I'm now 3 months pregnant due Nov. 1, 2005. I am also using natural progesterone cream. Editor's note: Fertility Blend is a popular and well-marketed supplement. We visited their website but were unable to determine the amount of vitex in the product, which is probably the most important ingredient. We don't like it when you don't know how much you are getting. Also, it appears to be pretty expensive for what you are getting, in terms of the quantities of ingredients, such as vitamin E. A high quality multivitamin/mineral plus a high-quality, standardized vitex product should do just as well, at a lower cost. Hi! I was diagnosed with PCOS in May 2003. I was immediately put on metformin and spirolactone (for the hair issue.) I took 1 pill a day and lost 20 lbs in the first month. But that was it, I plateaued. The doc upped my dosage to 2 pills a day and I lost another 10 lbs that month. But again, that was it. I started to gain it back again. I recently decided I wanted to take charge and find a healthy, natural way to cure myself. I am sick of taking "drugs" that don't seem to be working. Granted I am having a regular period...but the cramping and mood swings are still unbearable. I am not trying to get pregnant (I'll cross that bridge when I come to it), but I feel there is something out there that will enable me to have kids when I am ready. I strongly believe that diet is the key. After reading all these stories, I have been uplifted and motivated to pursue an actively healthy lifestyle. My roommate is a health freak and eats nothing but organic foods. Since living with her, I have eaten more organic foods and have noticed a vast improvement in the way I feel. Less cramping, more energy and I am losing weight. I am going to look in to getting the remedies you all have mentioned. I look forward to sharing a success story soon! Thank you for all for telling your story....it helps so many people have hope. I found out I had PCOS when I was 19 yrs, I was placed on the contraceptive pill (Dianne 35-E)D thought it regulated my period I had some serious effects and changed pills 4 times so I stop the pill overall and had my period ever 6 months to a year. At 23 yrs I got married and I started thinking of having a child. I approached my doctor who said she'd only refer me to a specialist if I was over 30 yrs as it was not an emergency at my age to fall pregnant and that there is still a chance of me falling pregnant naturally, as long as I still got my period now and then. They said explained to me that I should concentrate on success in life instead of children which are expensive. Despite the fact that I have a well paid job and my own house that is paid off already, she refused! I told her how I desperately wanted to become pregnant before I turn 30, but she didn't care. Upset and pissed off I went to another doctor who said similar, so I continued on with my life and while 2 years pass with no success of ovulating (having my periods) / falling pregnant I resorted to buying clomid overseas at a online pharmacy. I did my research and starting taking clomid at my own risk. After 2 cycles of taking clomid I fell pregnant. Now I'm 7 months pregnant and carrying my 2nd child. My doctors think they were right and that I just had to wait and I would become pregnant. Sometimes if you desperately want something badly, you'd have to take matters into your own hands. I don't believe that doctors have the right to decide whether or not you are ready for a baby. It is up to the individual / couple. Hi, I am 27 and had been diagnosed with pos 2 yrs ago. we have been ttc for the past 2 years, with no success. I am on metformin 500 thrice a day. i am overweight, so trying to reduce weight. since my testosterone level is hgh, my GYN has prescribed me the pills before starting on clomid 100. I am very nervous, but at the same time I have hope, seeing the many similar cases like mine. I am very thankful to all u ladies who have shared their experiences. I can't express how much helpful it is, to many women like me. I wish you all the very best, and hope to be back with a success story. Hi, I have just been diagnosed with pcos. I am 45 and have a 23 yr old daughter and a 20 year old son. I have had no cycle for the last year and half, and increased weight gain. Looking back I had many years of irregular cycles and excessive bleeding unexplained. I suffer from depression, skin tags, parathyroid surgery, and a brown ring around my neck that looks like I forgot to wash. I have had many of these symptoms for over 15 years. Lately thought my loss of cycle and the inability to loss weight promoted my endo to investigate further. Especially when I went to a new gyno and she said that my bloods were fine and that I should come back in a year. When I ask her what about the fact that I don't get my period she said give it a another year and maybe you'll get it? Hint to everyone there: Go back to your old doctor or seek another opinion immediately. My endocrinologist had a fit and said, so what does that mean? That's when she started testing further and discovered that while my sugar levels are normal, my body is secreting so much insulin that I am insulin resistant. I have just been put on metformin 750 mg extended release, she said it would also help me to lose weight. It's funny how you know your own body. 12 years ago I went on the Atkins diet and knew that it made me feel great and worked. I knew that it wasn't normal to feel like you wanted to pass out after eating pasta or rice. The problem was being metabolic resistant. Editor's note: Velvety, hyper-pigmented skin folds (acanthosis nigricans) is a tip-off that you may have insulin resistance and should be evaluated by an experienced physician. My story begins at the young age of 11 - when I had my first period. From that age on I have dealt with months of having no period at all to bleeding for a whole month and so on. My doctor put me on birth control - no luck :( The hormones in the birth control left me feeling terrible so I stopped taking them. At age 16 I experienced my first cyst. I thought I was dying! My ob/gyn told me I was fine - it's normal for women to have cysts on occasion, he said. Little did I know I would have several cysts over the years and endure intense pain. At age 21 I was seen in the emergency room - I had a cyst and after a week of severe pain and soreness I had to see someone. After a CT was performed, I was told I had PCOS - my ovaries were enlarged and I was carrying a very large cyst on my right ovary as well as several other small follicles on both ovaries. I was then referred to a local ob/gyn in the area. Several tests were performed without my knowledge and no explanations were given. Birth control was their only option for me but I refused. For years I have been monitored by doctors and given absolutely no answers or help. I am now 24 yrs. old - my symptoms have since worsened. I am experiencing rapid weight gain, headaches, irritability, acne, carb craving, and still experiencing absence of periods as well as cysts. 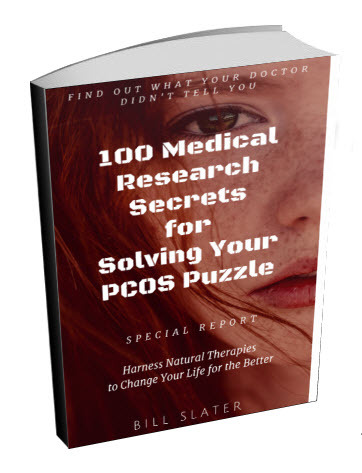 I became frustrated because I didn't know that all of these symptoms were linked by PCOS - I had no idea what I was dealing with! I finally got on the computer and did some research. I am not currently trying to become pregnant (still in college) but I still suffer from this syndrome and would like to have a family in the future. I also want to control for diabetes and heart disease, etc. I recently visited a new ob/gyn who started me on Metformin 500/3x a day. I took my first one today and am working toward the normal dosage of 3x daily. I hope to find a diet that works for me - I tried Atkins and South Beach in the past but they left me feeling extremely tired with no energy. After discussing this issue with my current doc. he could not give me any advice on which diet to choose. He said that I needed to decide that for myself - I thought there were diets created for women with PCOS - am I wrong?? (Editor's note: Krista, there IS a diet designed specifically for PCOS. 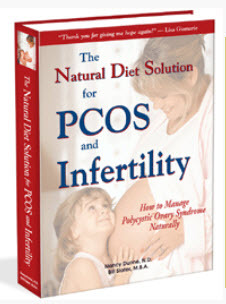 It is described in The Natural Diet Solution for PCOS and Infertility book. I have learned so much more from researching this issue on the internet than from any doctor I have ever seen. Although some confusion still exists I hope to eventually find someone that can help me with this issue. I plan on joining support groups, finding a diet that works for me, and continuing to follow the research. Hopefully, I will become a success story within a couple of years or so...maybe by then I'll have some pics to share with everyone. Do you have a PCOS success story to share? If so, we'd love to hear from you! 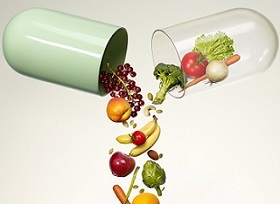 Have you used diet, exercise, nutritional supplements, medications or other therapies?